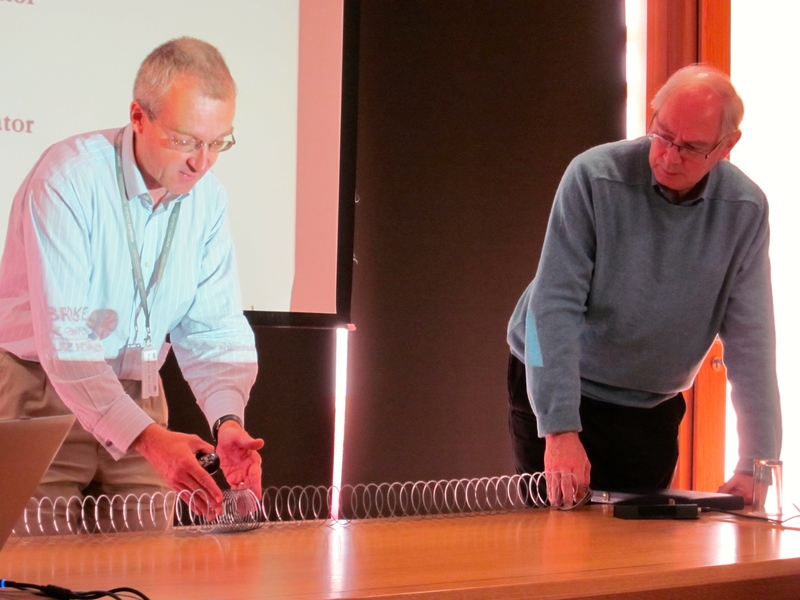 Tom and Brian Tanner demonstrating how sound works…to a mixed humanities and science audience. The talk will take place at Emmanuel College, University of Queensland, in the Riverview Room, 4.30-5.30. Tom will be very glad to meet anyone with interest in Grosseteste, medieval science and the engagement of modern thinking with the past.